Product #20822 | SKU SAHTM08BLACK | 0.0 (no ratings yet) Thanks for your rating! 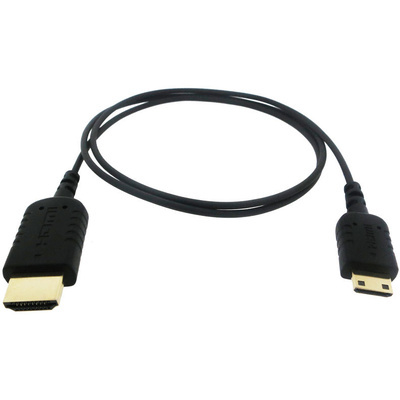 The black, 0.8m HyperThin Mini-HDMI to HDMI Cable from Sanho is a compact and flexible HDMI cable capable of delivering the maximum HD digital video and multi-channel digital audio performance from portable electronics. It connects mini-HDMI devices like camcorders and select portable electronics to HDMI devices like televisions, monitors, and projectors.